Entropy always increases: Fording the... ox? 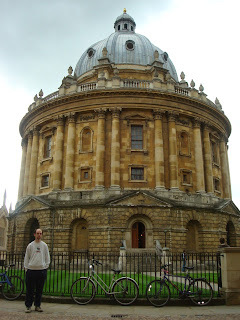 So, now that Tim is living in Oxford, I had a sufficiently good excuse to go and visit, and so I did so last weekend. 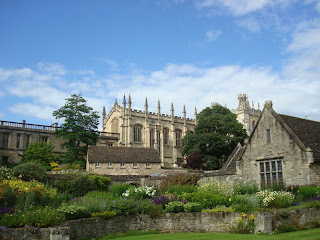 The weather was rubbish, the company was good, and the town is quite pretty, in a more spread-out way than Cambridge. We went to see the science museum (which had lots of surveying stuff), and otherwise just wandered around the place. Um, not sure what else to add to that really.